The table also shows the four inputs NAHB uses to estimate local remodeling tendencies. The input with the strongest influence on remodeling per home is the home’s value, so the highest remodeling per home estimates tend to occur in counties where home prices are high—in large metropolitan areas on the Northeast and West coasts, or in resort areas such as ski destinations around the Rocky Mountains. Some of the counties with high remodeling per home contain relatively few homes, so it’s also useful to look at total remodeling within the county. The counties that rise to the top of that list are the ones with very large populations, such as Los Angeles County, or Cook County in Illinois (which includes Chicago). An NAHB web page shows the top five counties in each of the four principal Census regions for total remodeling and remodeling per owner occupied home. 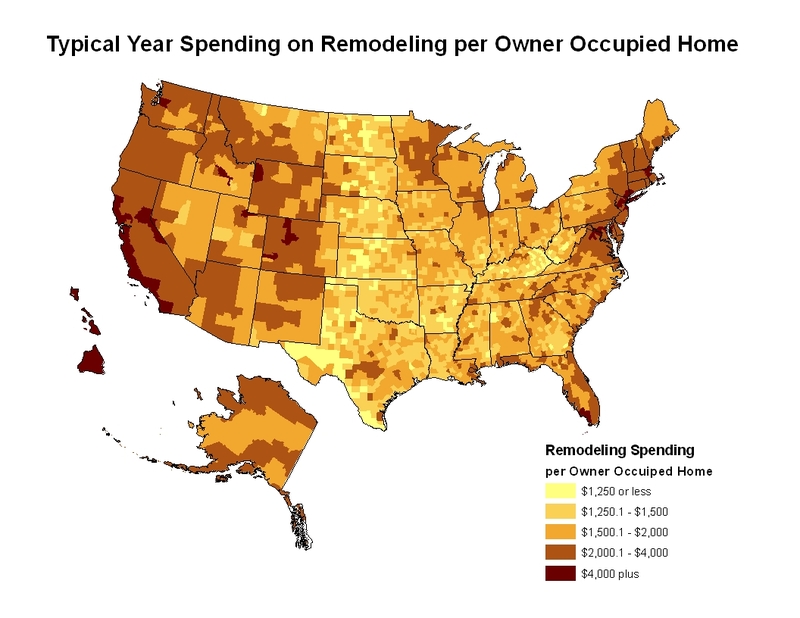 Remodeling estimates for all counties in the country are available to members of NAHB Remodelers. 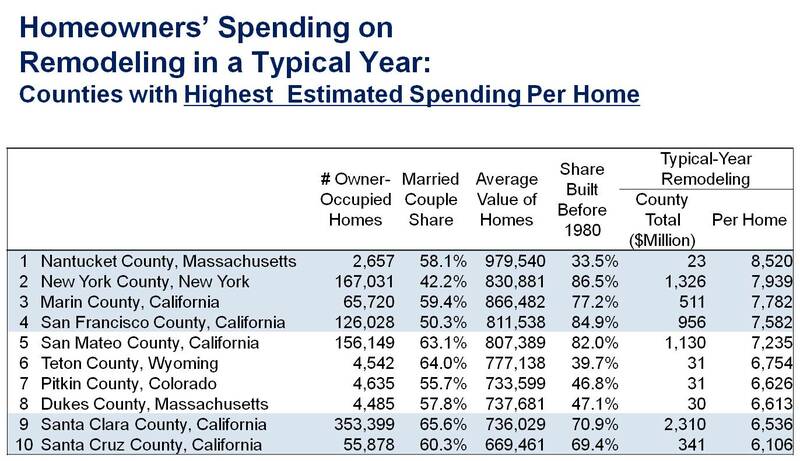 Remodeling Per Home Highest on the Coasts, in Resort Areas was posted on April 4th, 2015 at 10.00pm and is filed under Articles. This entry has no comments (yet). You can follow any responses through the RSS 2.0 Feed.